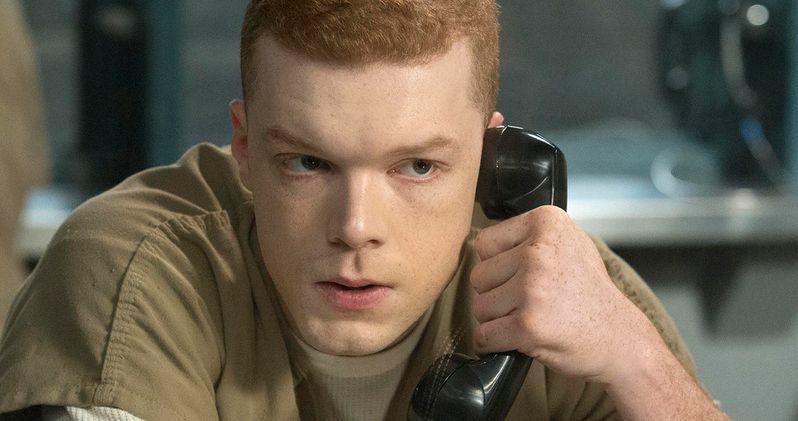 Ever since the pilot episode of the series, Cameron Monaghan has entertained fans on Shameless as middle child Ian Gallagher. Just one part of a disastrously dysfunctional family, the recurring character has taken part in many of the show's most memorable storylines, serving a vital role in making the series as popular as it's since become. With this in mind, it may be heartbreaking for many of the show's biggest fans to know Camron Monaghan has just announced his exit from the series on Instagram, promising that the next new episode to air on Showtime will serve as the character's last. "I have been a series regular on this show for roughly ten years. I was the tender age of fifteen when we shot the pilot, and I came of age in so many ways, both legally and personally. I was very lucky to mature and grow with this show. Experiencing so many firsts, maturing as an actor, a professional, and a human. In the process gaining friends, family, and the best coworkers a very lucky actor could ask for, and for this I can be nothing but gracious. All good things come to an end. An old cliche, but one that rings true with a sincerity and clarity especially in moments like these. Everything ends. The next episode will be my last. I have known since last year, but I didn't want to give it away too early as I wanted this season to be a surprise for the audience, allowing them to experience Ian's unsure journey with his character. This role has been a joy to inhabit, a wild and special ride, and I'd like to thank #Shameless as well as you, the viewers, for being there with him. Goodbye, Ian Clayton Gallagher. We'll meet again?" Most fans are already well aware of the other major blow to recently hit the show, which will see the exit of another prominent Gallagher. Emmy Rossum's Fiona, the eldest sibling and essential mother figure of the family, will be leaving during this current season as well, as the actress has already announced her exit. How the character will be written off remains to be seen, but fans at least had the chance to prepare for her exit. In comparison, Monaghan's departure is coming much sooner and more suddenly, undoubtedly surprising those still trying to accept Rossum leaving. With two major players in the Gallagher family leaving the show in season 9, where does that leave the future of Shameless? Fortunately, William H. Macy says he plans on staying for at least another season or two, keeping around the patriarch of the family (for better or for worse). Monaghan and Rossum are certainly leaving behind a major void by leaving the show, but the remaining cast is still very much enjoyed by the fans. Time will tell how many choose to tune out by the end of season 9, unable to accept the absence of these two key stars. Producer John Wells remains optimistic about the future of the show, promising that there is "no end of stories" when it comes to the Gallaghers. Should Showtime allow it, Wells says there's enough creative juice in the tank to continue writing on the series for at least another decade. He reasons that each day's news only brings about more and more inspiration for where to take the Gallagher family next, and it's hard to argue that logic. In ten years time, however, will anyone from the original cast still be there? Or are we seeing the beginning of the end for the show? Presently, Showtime has not made the official decision to renew Shameless for season 10. Despite the departures of Monaghan and Rossum, however, the show remains popular nine seasons in, which is always an impressive feat for any TV series. It seems likely the show will return for at least another year, so as long as the ratings don't take a complete nosedive by the season 9 finale. Catch Monaghan's final episode when it airs on Oct. 14, with Rossum's exit slated to occur later in the season. You can take a look at his exit announcement from Instagram below.